The Classic Plus line provides upgraded features from our Classic line, including an enhanced climbing experience by offering 3D contour panels, replicating a more natural rock climbing experience among other features. The Classic Plus includes aesthetically pleasing translucent panels that allow light to pass through, projecting natural lighting both indoors and outdoors. 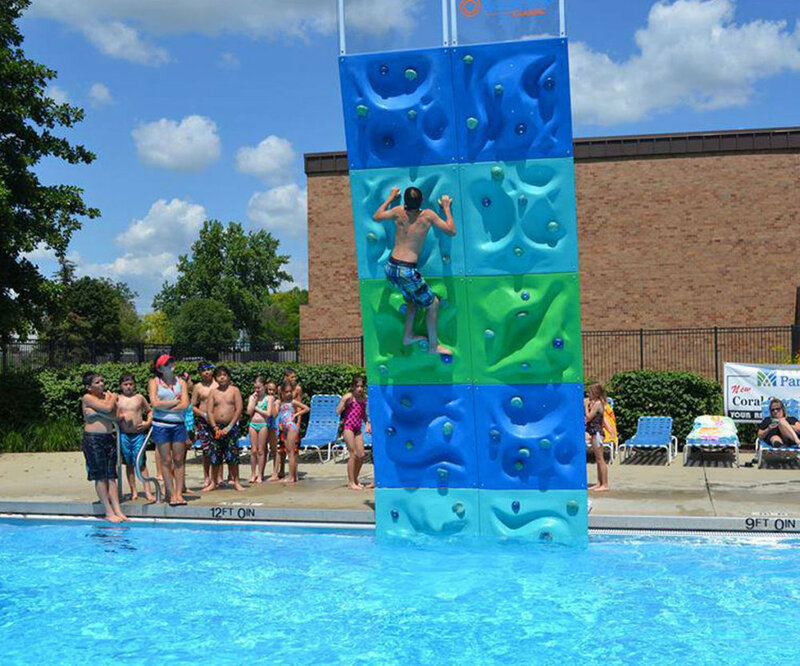 lifeguards preferred choice, as the translucent feature allows better visibility behind the wall, while also giving the climber privacy from onlookers. We offer fully custom paint schemes, holds, and will put just about any logo or graphic you choose. We want to help reinforce your brand or that of your sponsors. Two standard color choices available - Ice or Glacier. 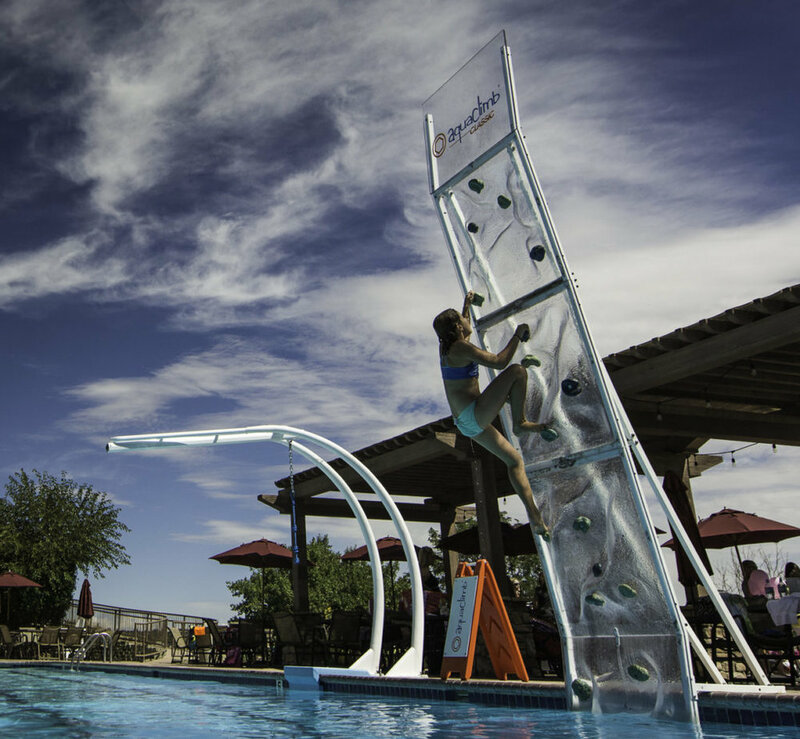 The continuation of AquaClimb innovation, the Ice uses translucent flippable 3D contoured translucent panels that visually obscure climbers from observers, while allowing natural light to pass through. 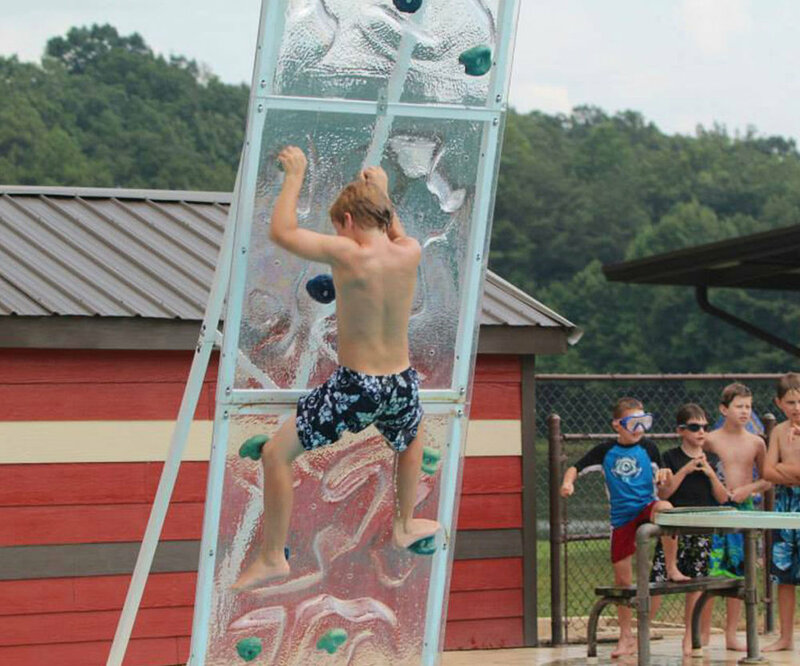 The panels on the Ice are see-thru for safety but slightly opaque to promote confidence in comprising climbing positions. 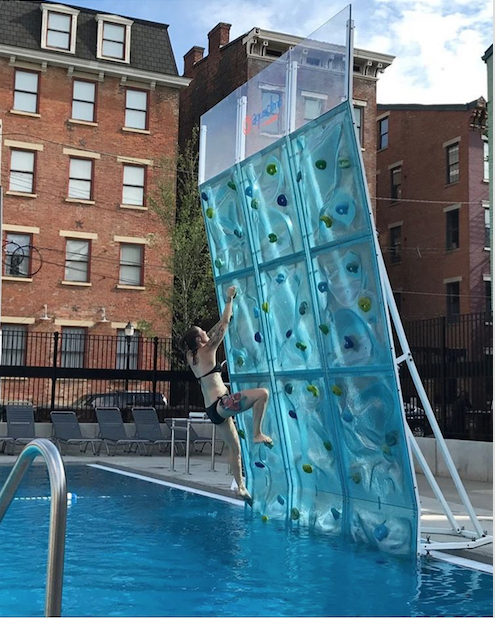 With sparkling blue tinted flippable 3D contour panels that look like arctic water frozen into the wall, the Glacier matches the pool water beautifully, creating an enticing attraction. The panels on the Glacier are see-thru for safety but slightly opaque to promote confidence in compromising climbing positions.